How to Write an Analytical Essay. 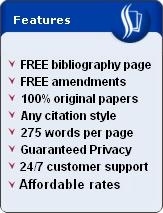 Analysis is at the heart of the analytical essay. This means that, in your essay, it is not enough that you write what you think your topic means. Rather, it is important that you also assess whether the topic proposes a sound or valid point. Moreover, the assessment should be structured. In other words, the discussion should naturally flow from your premise(s) to your conclusion. 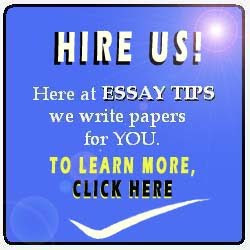 Here are some tips on how to write an analytical essay. The first step is to introduce your topic. Do this by summarizing what your topic is trying to say. For example, if your task is to analyze a newspaper editorial, start with a brief summary. If possible, include all the five Ws: what, who, when, where, and why. This should be within five sentences. Follow the summary with your thesis statement. In this case, your thesis statement should state a clear and succinct claim about your topic. After this, state the premises for your thesis statement. In essence, a premise is the same as a justification or reason in support of your claim. Devote one sentence for each premise in the introductory paragraph of your analytical essay. You can have at least two or three premises. After your introduction, the second paragraph should be a discussion of one of your premises. Use the corresponding premise sentence in your introduction as lead sentence for your second paragraph. Explain why this premise supports your thesis statement. Discuss why it is valid. As for your other premises, do the same. Each premise should be explained in at least one separate paragraph. As a minimum, three premises will require three paragraphs or one for each. Allot at least one paragraph for the counter-argument, which is basically a criticism against your thesis statement and premises. This paragraph should immediately follow the paragraph for your last premise. Remember to simply state what the counter-argument is saying. Do not say yet whether you agree with or not. The right section where you debunk the counter-argument is the paragraph that should follow it. This paragraph is essentially a rebuttal paragraph. This is where you thoroughly disprove the opposing claim and reaffirm your thesis. Make sure that you are able to repudiate the counter-argument even if conceding certain points is inevitable. After all of these, transition to the final paragraph of your analytical essay. This is the concluding paragraph where you simply restate your position and your reasons. Do not write new information. Now you know how to write an analytical essay.